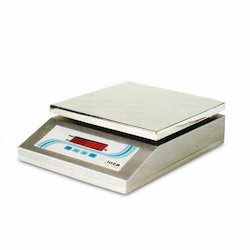 Providing you the best range of digital gold scales, digital gold weighing scales, gold electronic scales, gold weighing scales, portable silver scales and gold series jewellery scales with effective & timely delivery. 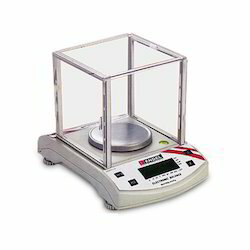 Manufactured in accordance with the set industrial norms, the Digital Gold Scales provided by us is one of the finest that is available in the market. Its high sensitivity and accuracy makes it highly acclaimed. These gold scales are manufactured using the finest raw materials by reliable vendors, and are offered to the clients at very reasonable rates. 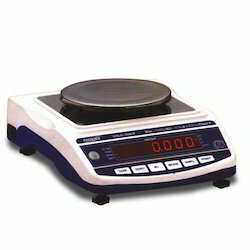 Widely used in a number of jewelry shops, the Digital Gold Weighing Scales is one of the best options available for weighing small products. Made available at the most affordable rate, this product is highly demanded in the market. Manufactured by vendors with a good reputation, the product’s accuracy, efficiency and sensitivity is always maintained. 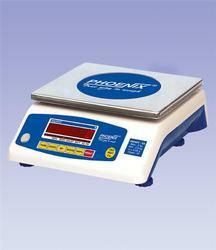 We are a credible name that is involved in the trading and distributing of premium quality Gold Electronic Scales. 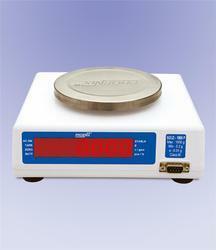 This scale is stringently tested against every set parameter to ensure its flawlessness. In addition to this, our product can be purchased in varied customised options. 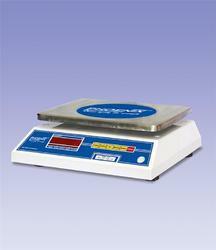 Our organization is counted among the leading traders and distributors of utmost quality Gold Weighing Scales. 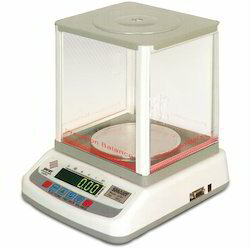 Our offered gold weighing scale has a unique function of price computing and it is designed with the printer which provides the slip of our transaction. 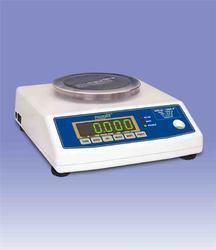 We are engaged in providing a wide range of Portable Silver Scales. These are provided in different specification to meet the diverse requirement of client. Varied quality tests are conducted by our experts on defined parameters, in order to assure that, products are in compliance with the set industrial standards. 24 bit ? - ? ADC (High resolution). Feather touch keyboard with audible indication during entry. Display intensity adjustable for longer battery back-up. Battery voltage display on screen. Carat, counting, percentage & GSM(gram per square meter). 6 V, 4 AH rechargeable SMF battery. 7.4V, 1.5AH Li-lon battery with charger. Extra Display (At the back side of the scale or detachable at 3 meters). Computer / Printer interface (RS-232 C). USB Port (for Computer Interface). Green Bright Vacuum Fluorescent Display. 24-bit ? - ? ADC (High resolution). Carat, Counting, percentage,& GSM (gram per square meter). Extra Display(At the back side of the scale). Computer / Printer interface (RS- 232 C). Feather touch membrane keyboard with audible indication during entry. Indications for A.C. On, Nett/Gross weight, Zero, Battery, Battery low & Count mode. Display intensity adjustable for longer battery backup. 6 V, 1.2 AH rechargeable SMF battery. 7.4V, 1.5AH Li-Ion battery with charger. Extra display (at the back side of the scale or rod type display). 24 bit S-?ADC (High resolution). Extra display (at the back side of the scale or rod type ). Green / Blue bright LED display. Computer / Printer interface (RS - 232 C). USB port (to connect with computer).